Going gluten-free after my Celiac diagnosis wasn’t too hard…except for the beer. I am a beer enthusiast (fancy phrase for liking to drink?) so switching to gluten-free beer, which I hadn’t heard much about, was going to be difficult. The first beer I tried is possibly the most widely-available gluten-free beer out there. They seem to sell it at most grocery stores…even WalMart! Who’da thunk it?! 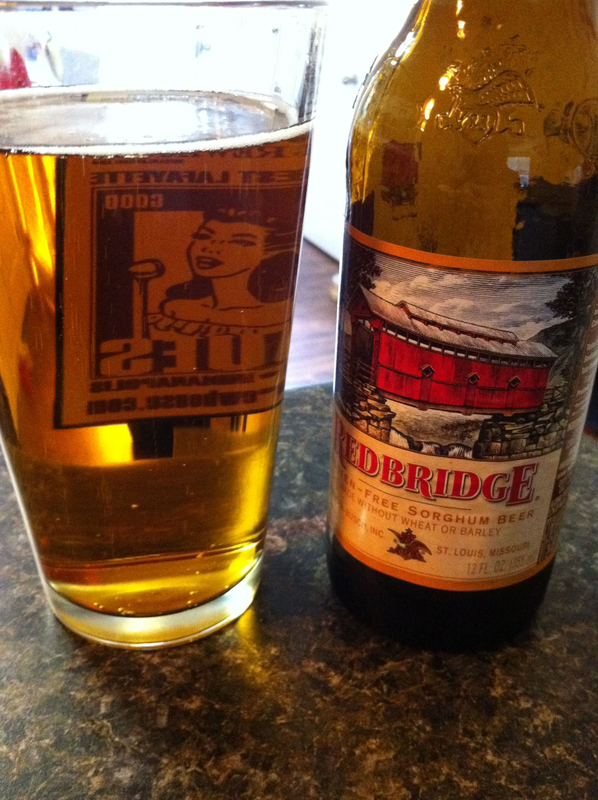 It’s called Red Bridge, and it’s brewed with Sorghum. The way I’d describe this beer is that it’s very similar to a red or amber ale…it tastes a lot like Killian’s Irish Red. It’s a little bit lacking in taste, and it’s more watery than I’d typically go for, but other than that it’s not bad at all! So, for a gluten-free beer that is widely-available, it’s pretty good! I will definitely be continuing my search for the best gluten-free brew out there…stay tuned!